Learn how to enable dofollow links in blogger comment system. Blog commenting is one of the best strategies for making backlinks, both dofollow and nofollow backlinks. You can make comments on blogger with your gmail accounts which links your name to your G+ account, or comment with the website URL of your personal website, or better still your blogger account but all these appears to be nofollow backlinks why? It's simply because all blogger templates are designed to have nofollow tag in their comments system. It not only on blogger, even on Self-Hosted WordPress website as well. Unless commentluv plugin is used. 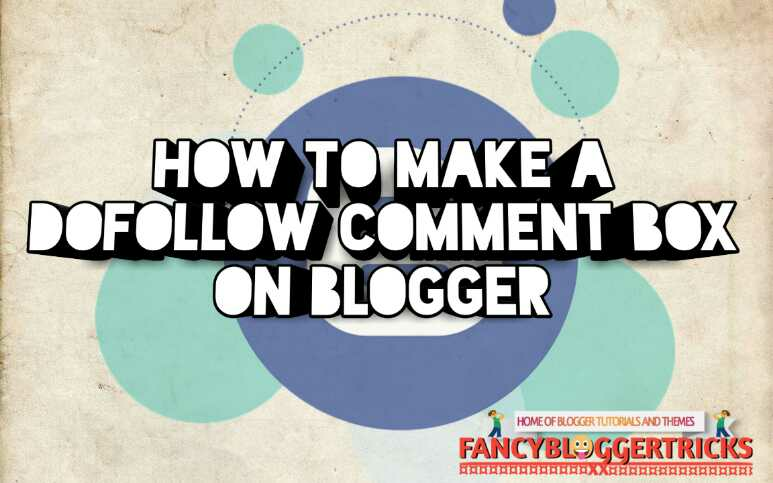 So today I'm going to share how to make a dofollow comment box on blogger. Follow the below steps to activate a dofollow comment box on blospot if you wish to let your readers leave dofollow comments (backlinks) on your blog. How to Make a Dofollow Blogger Comment Box. STEP 5. Save your template. Note: The change will be applied on both new and old comments. Now you have successfully activate dofollow links in your blogger comment box. Do you find this post helpful? Don't be stingy, help a friend out there on your social medias.